I like that I can access on the go as well as at my desk. I can get messages and reply instantly which is great. After using it a few times, it gets easy There is a training that helps as well, I recommend taking time to watch it. It moves slow on the phone and thats really the main thing that bugs me about this. Today I had a hard time figuring out how to just message one person, still dont know so the message went out to a group. Give it a try. It is a nice app to have/platform to have and its easy to navigate once you play around with it. Our first round of mentoring concluded in August and we would not have received as great of results as we did without Chronus and their team. The portal is extremely user friendly and guided our team through an effective and useful experience. The team at Chronus is always prepared and quick to give replies on any questions we might have had along the way. We are extremely appreciative of the support they have offered us through our first company mentoring program and are currently ramping up our second round beginning this month. We believe that the app could use some improvement. As previously mentioned, the team is very quick to reply that this is an area they are looking into fixing. As a global hotel management company, it is sometimes difficult to have our colleagues connect in person and build relationships. Chronus has enabled our colleagues to interact with one another and we believe this has positively changed the way our business works and the product we are able to offer guests. * We monitor all Chronus reviews to prevent fraudulent reviews and keep review quality high. We do not post reviews by company employees or direct competitors. Validated reviews require the user to submit a screenshot of the product containing their user ID, in order to verify a user is an actual user of the product. Hi there! 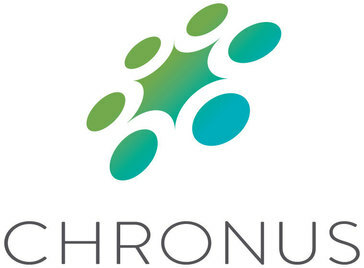 Are you looking to implement a solution like Chronus?